6' x 30" banquet table. Can seat 3 on each side and 2 on each end = up to 8 people. 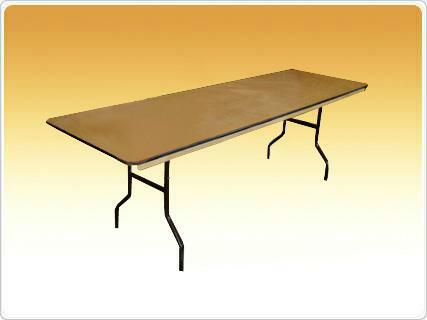 * Please call us with any questions about our table 6 foot x 30 inch banquet in Oak Grove MO, Blue Springs MO, Independence MO, Lexington MO, Odessa MO, Independence MO and Western Missouri.